This event is sold out. To join the waitlist, please email culturalevents@nyam.org with your name, contact information, and number of tickets requested. Thank you for your interest! Back by popular demand! Situated on the East River between Manhattan and Queens, Roosevelt Island was once a site of healthcare innovation. It was here that antiseptics and cutting edge hygienic practices were first used to prevent infection and that physical rehabilitation was embraced for patients with injuries or chronic diseases. 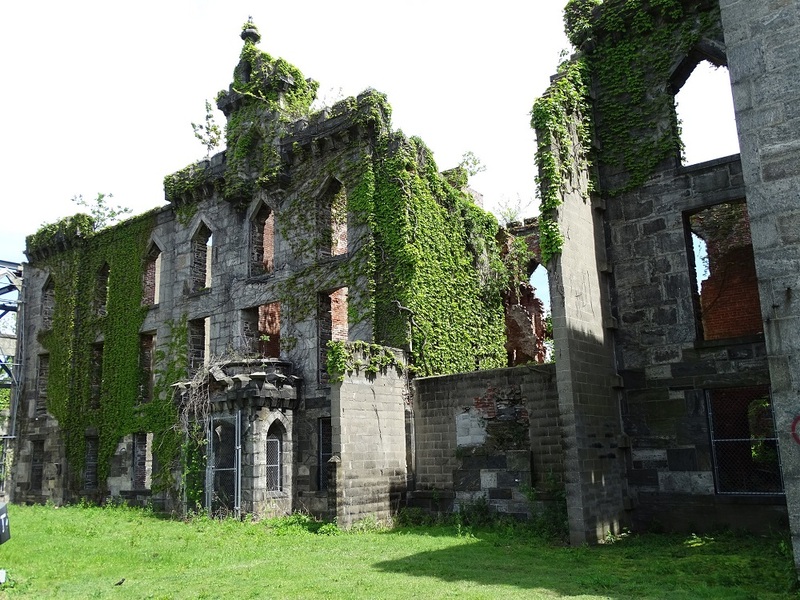 Led by Judith Berdy, president of the Roosevelt Island Historical Society, this walking tour explores the Island's abandoned hospitals and laboratories such as the Smallpox Hospital, the Lunatic Asylum, Goldwater Hospital, and the Strecker Memorial Laboratory, and the stories they tell about New York City's historic approach to public health. The tour will take place rain or shine and begin promptly at 1:30 pm at the Roosevelt Island Visitor Center Kiosk at Tram Plaza, which is accessible by the Roosevelt Island Tram with an active MetroCard. It will be about 90 minutes in length and conclude on Roosevelt Island. This program accompanies our exhibition Germ City: Microbes and the Metropolis (on view through April 28, 2019). To view all of the programs in the series, click here. Judith Berdy is president of the Roosevelt Island Historical Society, which promotes awareness of the Island’s unique story and the preservation of its landmarks and artifacts. The Society recovers, maintains, and disseminates the record of Roosevelt Island’s heritage from colonial times to the present. It collects artifacts, documents, publications, photographs, prints and other media recording the history of the Island and its inhabitants and makes its collections accessible to the public through tours, lectures, exhibitions and publications. This program is presented by the New York Academy of Medicine and the Museum of the City of New York in collaboration with Wellcome. It is part of Wellcome’s international project Contagious Cities, which explores the interplay of people and pathogens in urban contexts. Supported by Wellcome as part of Contagious Cities. Germ City is made possible in part by Valerie and John W. Rowe; Johnson & Johnson; the Anna-Maria and Stephen Kellen Foundation; and the Honorable Keith Powers, New York City Council, District 4.